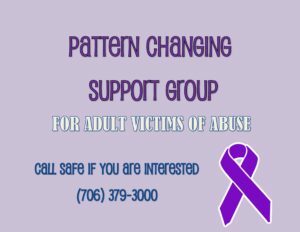 Use this form if you are interested in donating funds to support the abuse prevention programs of SAFE. A list will appear. Please choose “Christmas Doll House Raffle” on the list. Then fill out the rest of the form so that we have you information. If you choose to purchase the raffle tickets you will receive an email confirming your name, the number of tickets you purchased, and the numbers on your tickets. S.A.F.E. tries hard to assist its clients with necessities. Many of our clients arrive with the clothes on their back and nothing else. S.A.F.E. is blessed that its community enjoys providing items that clients often need. Items can be taken to the thrift stores or you can contact us at 706-379-1901. Below we have listed items that we ask for. If you wish to donate money please send a check to PO Box 11, Blairsville, GA 30514 or contact us.